This title may be a tad misleading. 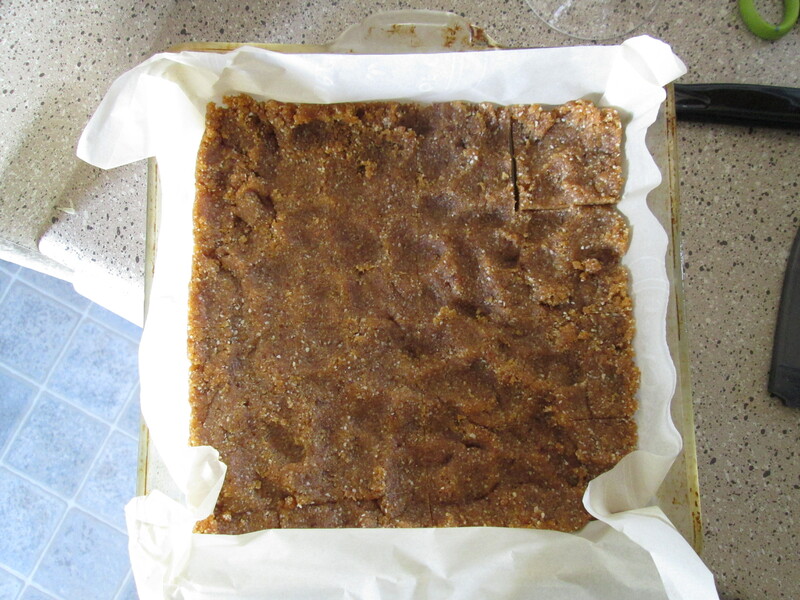 You can make these “larabars” for cheap or you can make them really expensive. 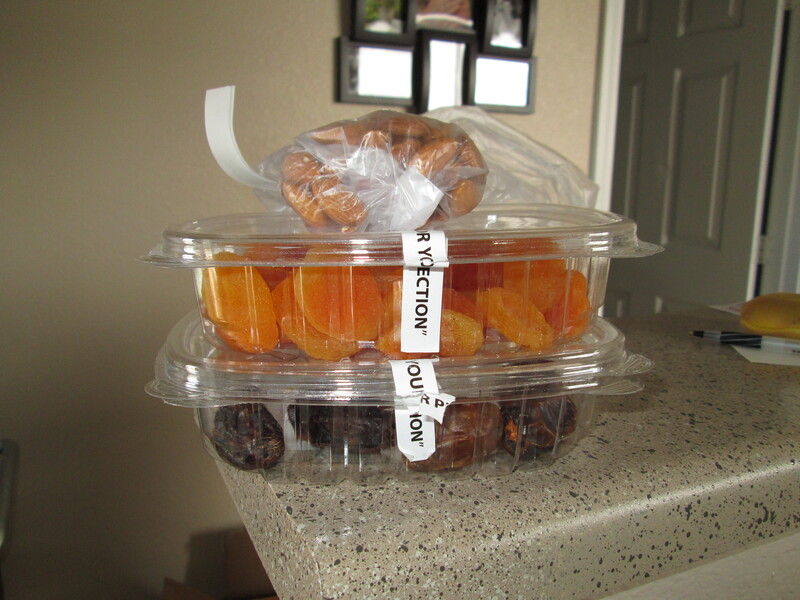 It depends on the type of nut and dried fruit you choose to use. Me? I prefer to call myself frugal. I won’t spend more money than I have to on almost anything! Therefore, these “larabars” are perfect for me. I can buy what I want and tailor it to my tastes/budget. I imagine they will almost always be cheaper than buying “larabars” pre-made. For those of you that may not know about the amazing Larabar, it is a delicious fruit and nut bar. I believe that all of them are raw as well and they have very few ingredients in them, which I love. however, buying Larabars can add up quick if you want to eat them often. I adapted this recipe from Cookie+Kate’s recipe. The only reason I really say adapted is because I sort of screwed it up a bit, but it worked out in the end! Food process the almonds until they are fairly fine (I used the pulse setting). 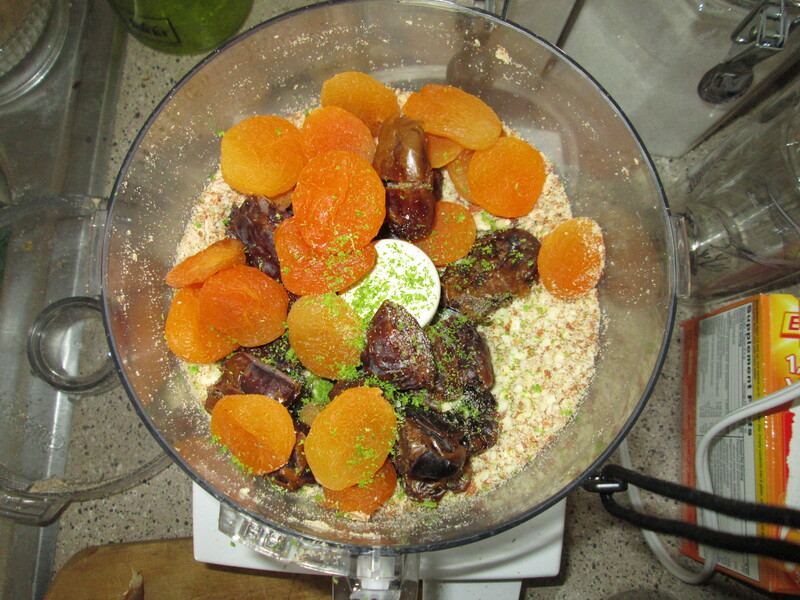 Add apricots, dates, sea salt, and lime zest. Process until it turns into a dough like consistency (I pulsed for a bit and then just flipped my processor to “on”). Line an 8″ x 8″ pan with parchment paper, or really any kind of lining. Set in the freezer for at least 30 minutes. Next time, I will put in more lime zest. I can taste it, but it’s not very strong. If you want a nice strong flavor, I would make sure you add plenty. After all, it will be competing with the natural flavors of the ingredients. I’m also wondering if there is a trick to zesting. All my zest stuck to my grater and it was really hard for me to get off! I did not get all of it off of my grater, but I was able to get enough into my mix to feel confident. If you know the trick, enlighten me, please! You could easily alter this recipe by using a different nut or mix of nuts, different fruits (although I would probably start with only changing out the apricots and go from there). I know that manufactured Larabars use cashews pretty often. Cashews tend to be on the expensive side of nuts, but they are delicious and would probably change the texture somewhat. Other recommended fruits are cherries (also tend to be expensive), cranberries, apples, or really any kind of dried fruit. This is where the budget friendly part can really go out the window, but this is also a great way to change the flavor or to have multiple flavors in your home. his was a very fast and easy recipe. First time for me, probably start to finish, including pitting the dates, took about 15 minutes to put it all together. 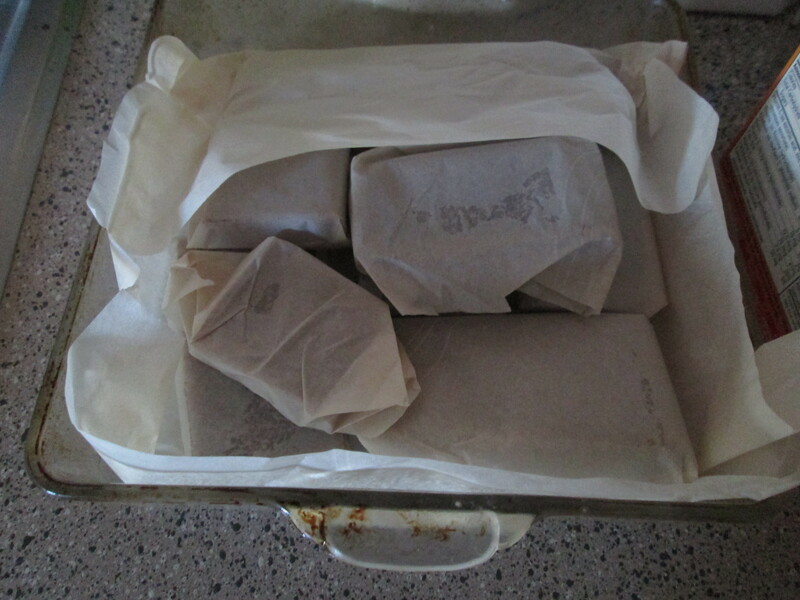 The freezing and wrapping came a bit later, but it was really easy to cut the bars and wrap them. Maybe 5 minutes here? So on the outside, it should take about 20 minutes of active time. Also, the dough comes out of the processor really easily, so the cleanup isn’t that bad. I’ve been storing mine wrapped on the counter and that’s working just fine for me! What a delicious snack! I will absolutely be making these again. Yummy!! I think if you put the nuts in after, it will be chunkier. So, if someone wants a chunky nut bar, that’s the way to go! Use a pastry brush to brush the lime zest off your grater. Great idea! I don’t have one of those… Guess I have a new kitchen tool to get! You could just use a new toothbrush that you dedicate to being a kitchen tool. They can go through the dishwasher, too. Perfect solution. I think I have one laying around somewhere… I’ll pull that out next time I make anything with zest!